LS-2 MK3+ holds the top position among GigaWatt power cords. It is a crowning achievement of long-term experiences and research on designing reference power cable. A new, loss-free passive filter, adjusted to the cable characteristic, was used in “plus” version. The priority of LS-2 MK3+ project was to obtain an uncompromised product, without any production costs limits. LS series also constitutes an excellent test site helpful to improve current and create new GigaWatt products. The unique feature of LS-2 MK3+ is the fact that no ready-made components were used in production process. The elements used in cable construction are subassemblies projected and produced of our own, or manufactured by our cooperates according to precise GigaWatt specification. Cable assembly is entirely hand-made. Creating one piece of cable takes many hours of the specialist’s work and all stages of the production process take place under strict supervision providing best product quality and repeatability of subsequent items. Draft strands of the cable are constructed of nine-solid-conductors cluster, 16 AWG each conductor. Made of the silver plated oxygen free copper, isolated with FEP Teflon. They create massive clusters of large cross-section and very low impedance, enabling unlimited power flow. Twisted in parallel conductors ensure significant cable inductance reduction, maintaining favourable quite high self-inductance. The whole construction is covered with tight copper shield, protecting from EMI and RFI noises. Much importance in the cable construction was attached to the reduction of oscillation caused by electromagnetic field inducted around conductors. Draft strands are surrounded with multilayer material suppressing undesirable oscillation. The cable is additionally protected from the outside with black, textile, polyolefin fibres braid and antistatic screen, which prevents static charges accumulation. Especially dedicated for LS-2 MK3+, a new loss-free passive filter of nano-crystal alloys was worked out. Its elements are closed in a compact aluminium casing. It is being assembled in a preciously selected spot in a cable and constitutes additional protection against parasitic noises and oscillations on the cable output. High quality, company power plugs are also noteworthy. Their massive construction ensures extraordinary durability and reliability. Casing of the plugs is made of compact aluminium. Their solid connectors are made of compact brass covered with rhodium, which guarantees low impedance and larger amount of connecting cycles with no parameters loss . Connectors were additionally subject to cryogenic treatment and de-magnetization. All conductors are connected with no use of tin, and plug connections are bolted which minimizes plug impedance and guarantees reliability. LS-2 MK3+ is recommended particularly for powering of high power consumption appliances, although will successfully power reference audio and video sources too. 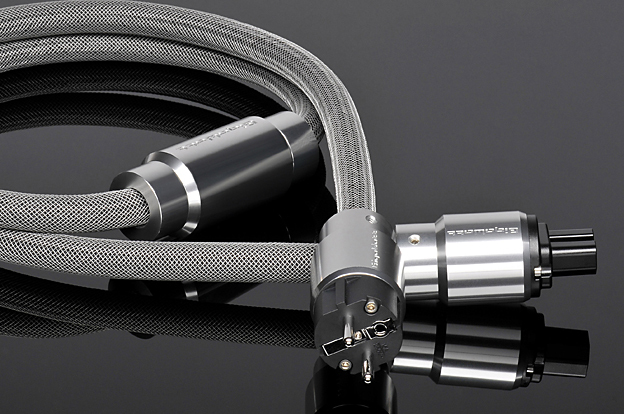 The cable is also available in high power version as LS-2HC MK3+, being a dedicated power cable for the top GigaWatt PC-4 EVO+ power conditioner. “The sound becomes clear as a tear and precisely arranged in the space. If such a presentation fits into the system, it will be very difficult to find an alternative. If not – it will be also known right away. Here everything is clear: either left or right. Nothing in the middle. It is the easiest to compare the effect to driving a sports car. It is tough, loud, uncomfortable, but offers performance unheard in ordinary cars. It’s the same with LS-2. It does not have to appeal to everyone, but strong impressions are guaranteed.